Each day we are surrounded with and use many fantastic technologies. While not always obvious, these technologies require energy to operate. This energy use can add up in terms of monthly power bills as well as the natural resources required to produce that power off site. Numerous energy efficient tools exist today to help us conserve resources and reduce our monthly payments. This experiments helps you identify what is using energy in our classroom and encourages you to brainstorm strategies for your school to reduce its consumption and monthly fees. What is energy? Does your classroom use much energy during the day? What items need energy or power in your classroom? After finishing your energy drawing, or energy audit, did you find more or less items than you expected? Do you notice any energy efficient devices or features in your classroom? If your school wanted to save money on their monthly electricity bills, what could they do? Select a classroom in your school to use for this experiment. Using the graph paper and pencil, draw the walls of your classroom. Mark where any doors or windows are located. Pick one wall to start. Walk back and forth along that wall to identify anywhere an electrical outlet is located. Mark these on your drawing with colour #1. Select a second colour to mark anywhere there is a power cord plugged into the wall. Repeat steps 3 and 4 on all remaining walls until you have made a circle around your classroom and are back to where you began. Use colour #1 and colour #2 to show outlets and power cords on all walls for consistency. Select a third colour pencil, crayon, or marker. Walk around the room and identify any objects that need energy but are not plugged in to a wall. They may be plugged in to a floor, battery operated, or not plugged in at the moment. Mark these on your drawing. Either turn your sheet of graph paper over or select a new sheet. Draw the walls of your classroom but this time label the drawing ‘Ceiling’. Examine the entire ceiling and identify any objects that require energy to operate (including lights and overhead projectors). Mark these on your graph paper. Sit back and examine your drawings. Help your student become aware of everyday energy use with this fill-in-the-blank worksheet. What is energy? Energy is the ability to do work! Use this colorful worksheet to teach your little scientist the basics of energy. In this lesson, students will review key terms and construct a map of a familiar place. 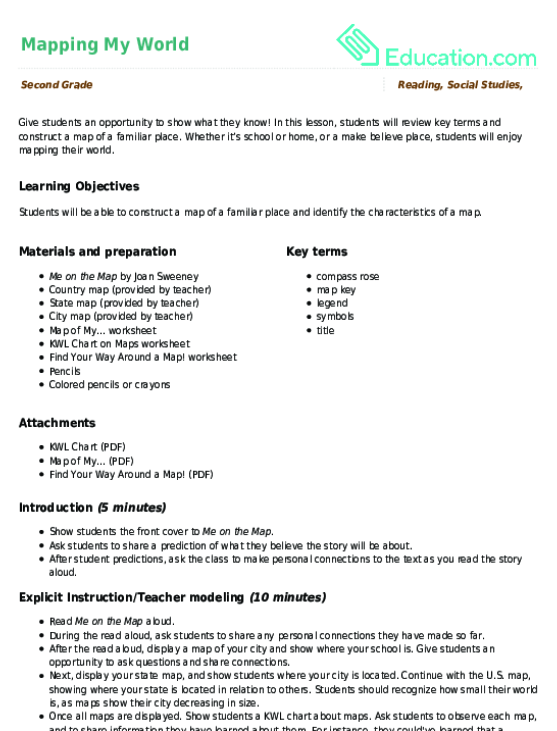 Whether it’s school or home, or a make believe place, students will enjoy mapping their world. 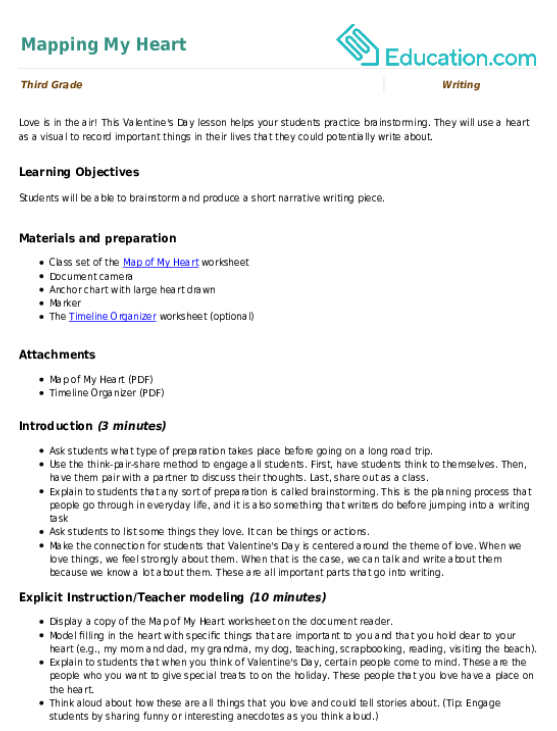 Young explorers can learn about mapping coordinates with this introductory sheet about latitude and longitude. What is geothermal energy? Find out how we use parts of the Earth to provide us with renewable energy! Teach your child the importance of conserving energy with this worksheet. What is solar energy? Discover how we use the power of the sun, and complete this worksheet about an important renewable energy source. Love is in the air! This Valentine's Day lesson helps your students practise brainstorming. Are you familiar with all the items in a classroom? Fill in the blank labels to show all the parts of a classroom. What's the difference between renewable and non-renewable energy? Help your student discover the various forms of energy we use each day. 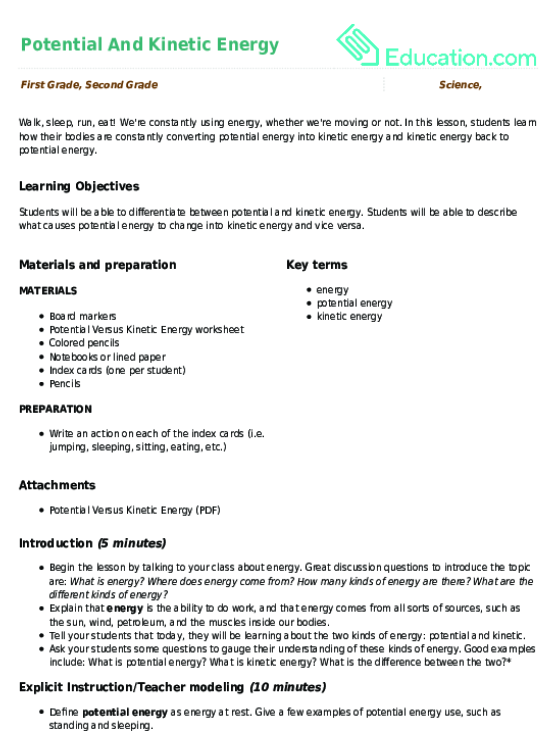 In this lesson, students learn how their bodies are constantly converting potential energy into kinetic energy and kinetic energy back to potential energy.